When you install the Empire DVD32FP71N Tahoe Deluxe Direct Vent Fireplace in your living space, be prepared for compliments on its style and functionality! This 32-inch fireplace includes a direct vent to the outdoors and an automatic blower that efficiently circulates heat throughout your space. The timeless style of the black surround and aged-brick liner give this unit the look of a site-built fireplace. Users will enjoy its realistic-looking features, which include unique flame patterns and glowing embers. An intermittent pilot light saves energy through its limited fuel use. 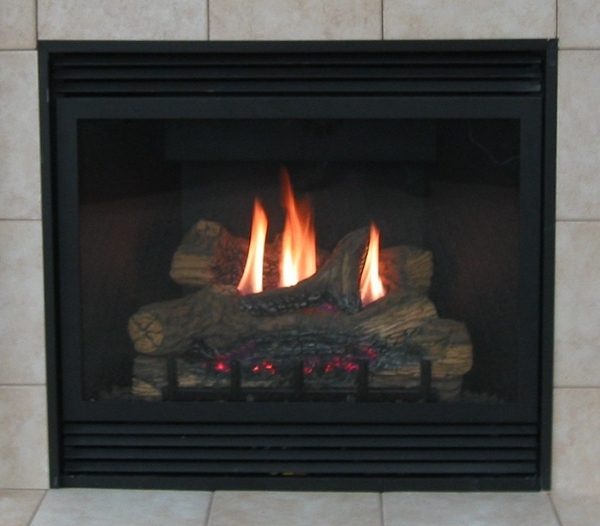 This unit provides an 18,000 BTU heat output, making an intimate evening by the fire a comfortable affair. Would we be able to use this when the power is out? Does it vent out of the top or out of the back? This unit contains a battery back-up that does allow it to operate in the event of a power outage except for the blower. The unit ships from the manufacturer with a reversible flue collar, allowing it to vent either vertically or horizontally.